Kakao, the operator of mobile messenger KakaoTalk and web portal Daum, will be relisted on the top-tier Kospi market Monday, after delisting itself from the second-tier Kosdaq, stock market operator Korea Exchange said Wednesday. The Kosdaq-listed information technology powerhouse was granted approval to move some 67.8 million ordinary shares from the Kosdaq to Kospi on Tuesday, 40 days after it applied for an eligibility review. Shares of Kakao have responded accordingly for two consecutive days on anticipation of the relisting. Kakao closed at 104,100 won ($89.90) Thursday, up 1.56 percent from Wednesday, when it saw a 4.27 percent surge. 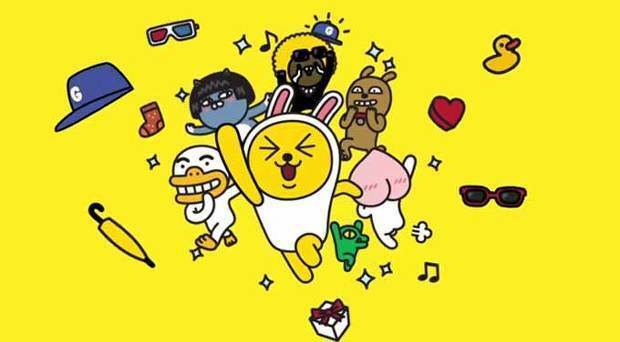 This came three years after Kakao acquired Daum Communications, which was listed on the Kosdaq in November 1999. Kakao is currently the second-largest Kosdaq-listed firm in market capitalization, following biopharmaceuticals firm Celltrion. With a market cap of some 7.5 trillion won as of Thursday, Kakao is expected to become the 43rd-largest firm on the Kospi and to be included in the Kospi 200. Other Kosdaq powerhouses have jumped into the top-tier market previously in hopes of enhanced investment from offshore stock buyers. Examples have included giant web portal operator Naver, the second-largest air carrier Asiana Airline, travel agency Hanatour Service and mobile carrier LG Uplus. Kakao was founded by Kim Beom-su, who now owns 18.52 percent of the shares. The internet firm reported 116.1 billion won in operating profits and 1.46 trillion won in sales in 2016 in its regulatory filing.